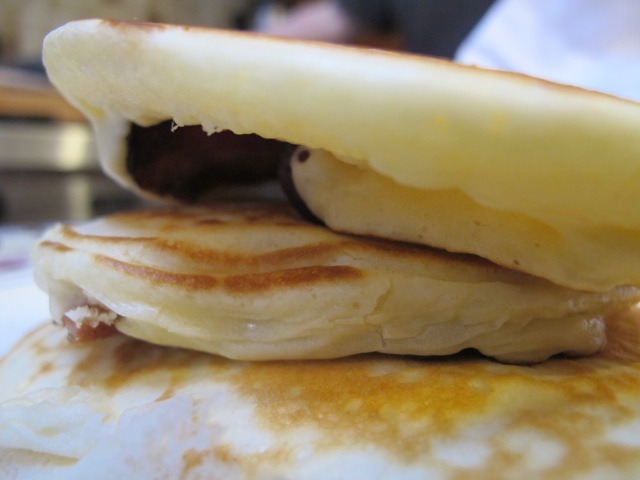 Hey everyone, for some awesome healthy muscle building stuffed pancakes, try this recipe below. If you digest quickly, eat this 1 hour before your weight training power bodybuilding workout. This is what’s in some of your meals plans when you become a client. submit your assessment now, to start getting off those rice cakes and cans of tuna. In a medium sized bowl, mix together the almond flour, coconut flour, baking soda and salt. In another medium sized bowl, whisk together the coconut milk and eggs. measuring cup, pour the batter into the pan. Once the top of the pancake begins to bubble put a few sliced sausages in the middle. Fold over the sides to make a pocket and flip it over to seal and cook the other side. Cook the pancakes until well done. Continue with the remaining ingredients then serve. ‹ How Much Water is Enough?